Hi peeps!! 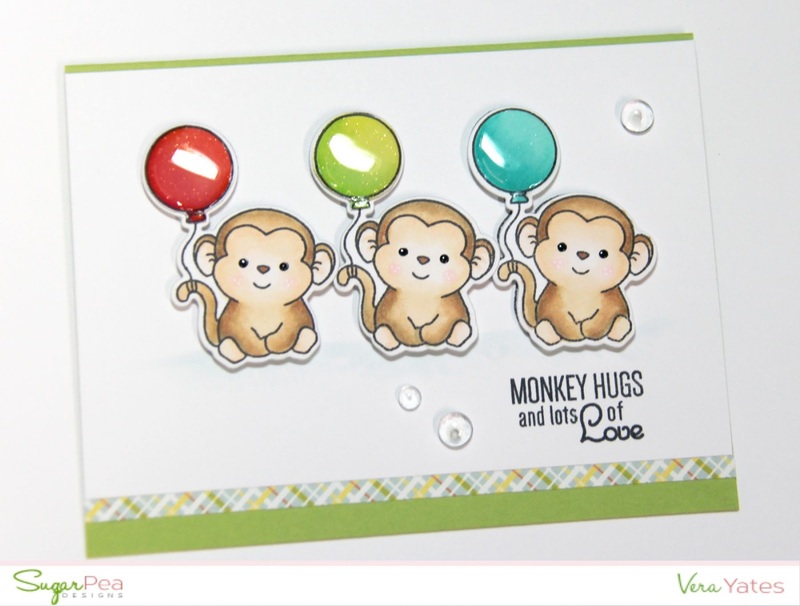 Welcome to SugarPea Designs 3rd Birthday Bash Celebration! Now you can’t have a Birthday Bash without prizes and there are lots of prizes to be won! 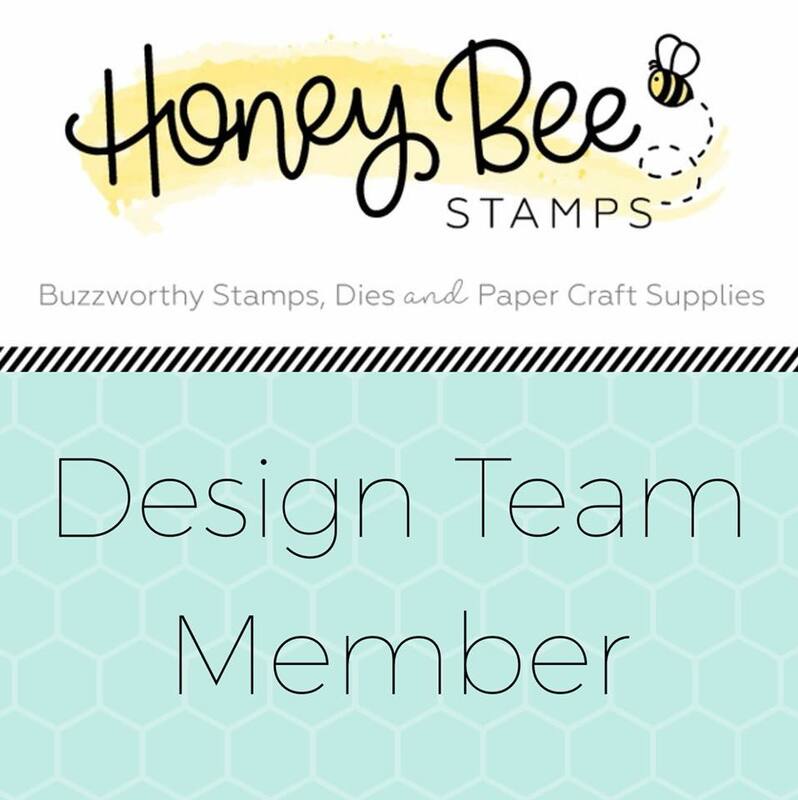 A few of our blog hop participants will be giving away a SugarPea Designs stamp set, so please leave comments for each hop participant for your chance to win! 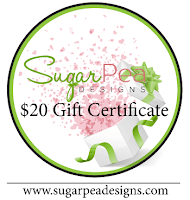 In addition to this, ONE lucky winner will be randomly chosen from all comments left to receive a $100 Gift Certificate to SugarPea Designs. You have until April 15th to enter to win. Winners will be announced on April 17th. 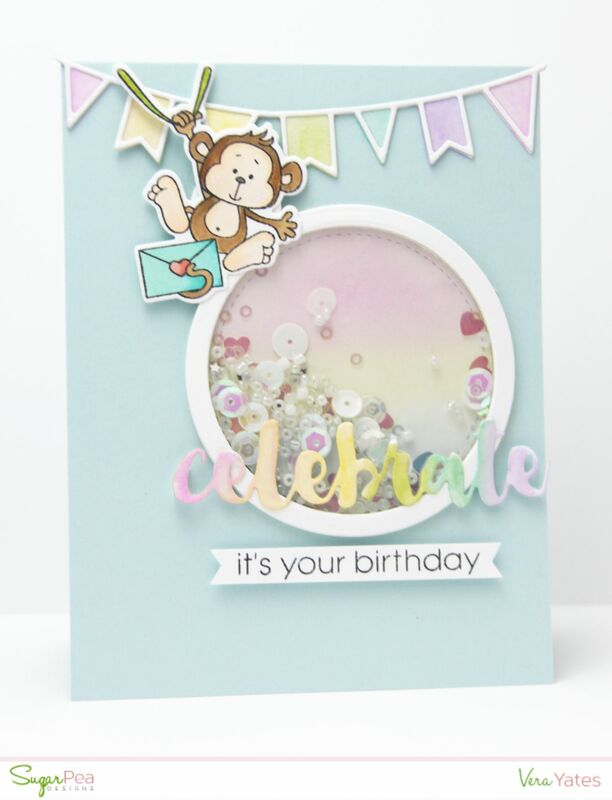 Once you have completed the hop, we’d love it if you’d keep the celebration going, by creating a Birthday card or project and linking it up at the SugarPea Designs Blog for a chance to WIN a Mini MISTI and Creative Corners Tool (link up deadline is April 15, 2017). 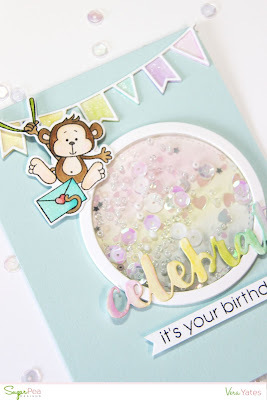 Here's my birthday card featuring the cutie pie from Caring Critter set combine with sentiment from Celebrate All The Things set, SugarCut Celebrate and SugarCut Party Banner Duo. And.... I feel kind of silly, that I just now realize how awesome is the Party Banner Duo dies. Yes, yes, I should have played with them sooner. Super slow thinking on my side. I literally gasp when I realized how cool is the layer look it created. I watercolor each banner first, added some shimmer with Spectrum Noir shimmer marker, before adding the outlining layer. And, did you know that SugarPea also carry some sequins? 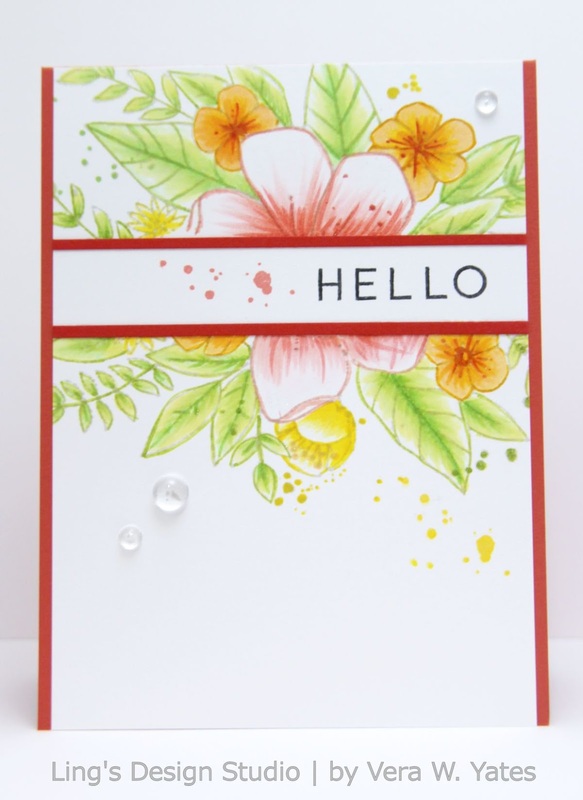 On my card, I used the Lily White Sparkly Shaker collection. Here's a closer look of the card. I really love the way this card turned out and I always send my favorite card to people that I love. On this case, this card is now on its way to Jakarta, Indonesia to my older brother whose birthday is coming up! I know, he will get a kick out of this card. 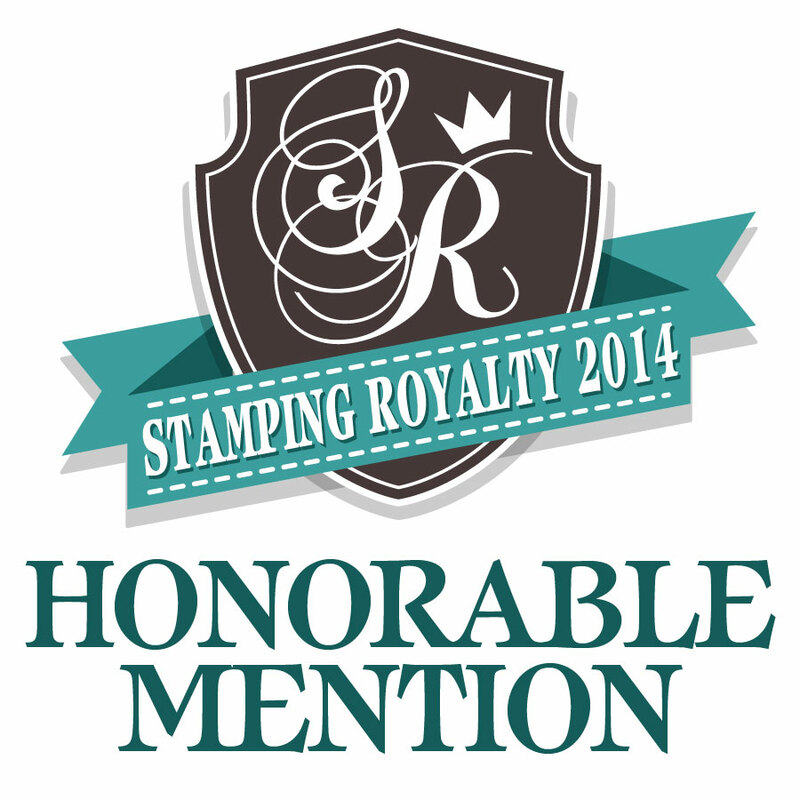 I am also entering this card to the current Simon Says Stamp Anything Goes Challenge. You have quite a few blogs to hop to, so that's all from me. 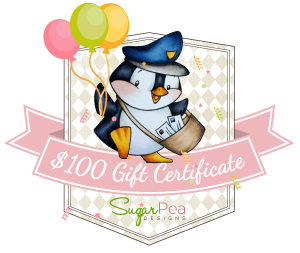 Thank you for stopping by here and thank you for all your support for SugarPea! 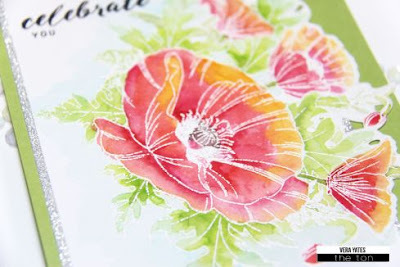 Can you have too many floral stamps? No, right? I just bought my first set from Studio Katia, called Together We Bloom, cause this set is simply calling my name. 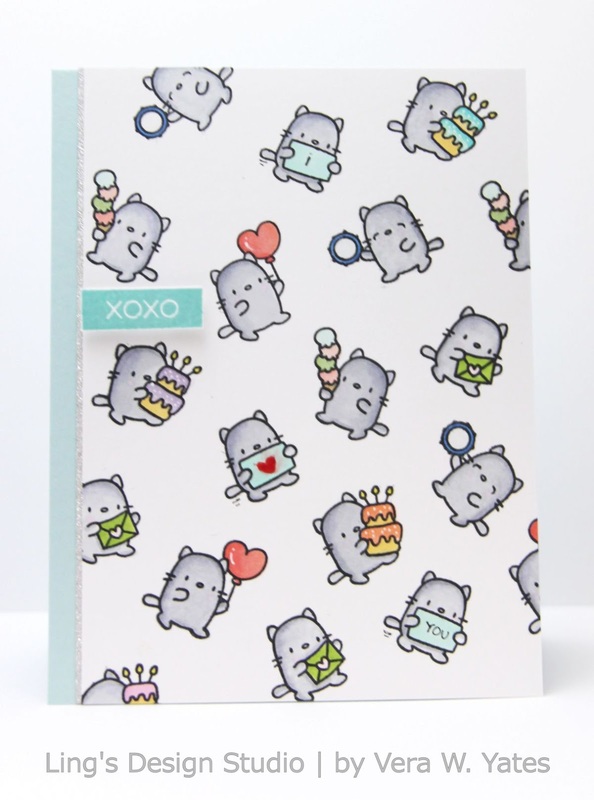 By the way, Studio Katia was also one of the sponsor for Caring Hearts Card Drive. That was where I heard about them for the first time and when I saw SSS carry their set, I was like, hey, I like their style. So, here's my card using Together We Bloom. On this card, I only use the flowers. The sentiment is from Altenew. 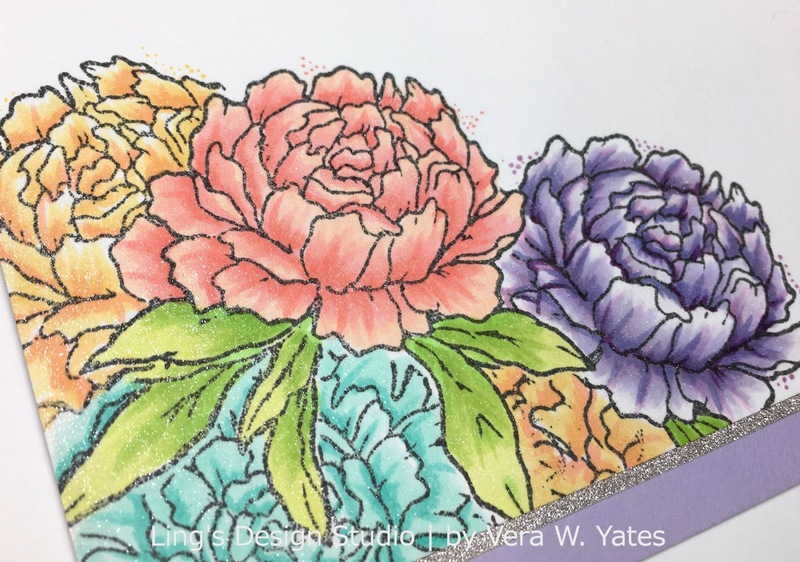 Here's a close up look as I try to capture the shimmer on the flowers. Hi peeps. How's your weekend? Mine was busy with working around the house. We re-painted our closet and fix and touch up various stuff. Let's just say my arms feel like jello now. For today, I want to share this card that I made a while ago. Just haven't got a chance to post it here. So, today is the day. Hah! Hi peeps! How's thing going? I am back today with a card for SugarPea Designs Mix It Up Challenge # 29. Basically, every month we provide you with a sketch and a color combo or inspiration pic. 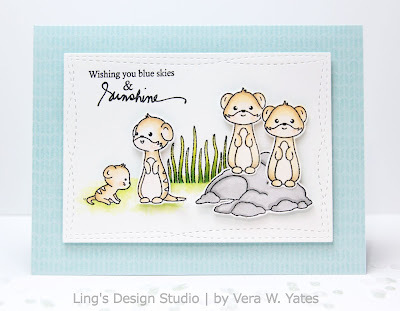 You can create a project based on the sketch or the inspiration pic, or both! For my card, I just stick to the sketch. Just not quite feeling the purple or playing with flowers today. ;) Instead, I am playing with this big guy! I think he's kind of adorable with his big mustache! Hah! I hope you will join us and play along. To check out all the challenge detail and to enter your project, please go HERE. Thanks for swinging by by & treat yourself kindly, cause you're kind of a big deal!! 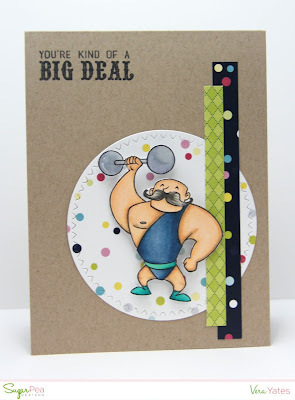 I case Melissa Bickford's card HERE. 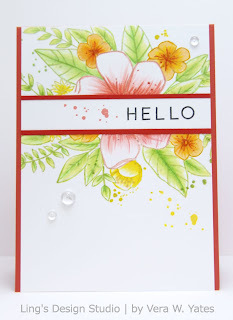 I love her bright colors and use the layout of the card as my inspiration and made this hello card. As always, I am a fan of shimmer. So, of course, I covered the flowers with Spectrum Noir Sparkle marker. Here's a close up look of the card that show the pretty shimmer (you can click on the pic to see it in larger scale). Well peeps, that's all from me. Lots of work around the house waiting. See you all later and have a great weekend! 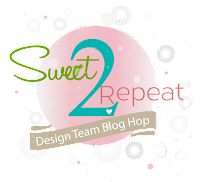 Hi peeps and welcome to SugarPea Designs Sweet2 Repeat blog hop. 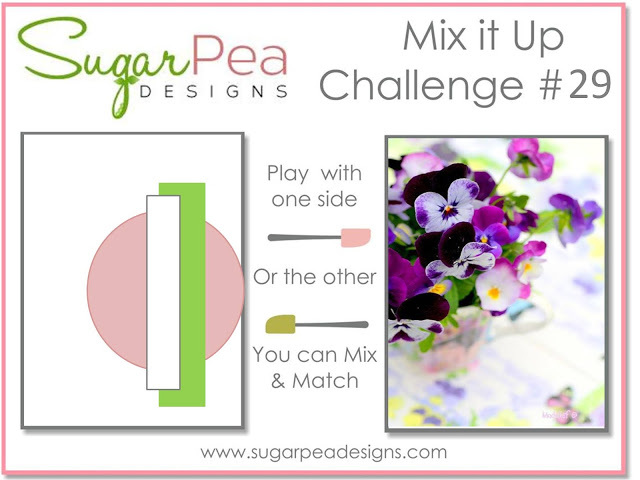 Hopefully, by now you have some of the new releases from SugarPea on your hand to play with. In case you still debating on what to get or simply need more inspiration, the team are back today with some fun projects to inspire you. Sure enough, my phone case stuck to the balloons and I had to re-do 2 of the 3 balloons. I am just glad I didn't mess up the whole card as I was doing this card last minute and re-doing the whole card is out of the question. 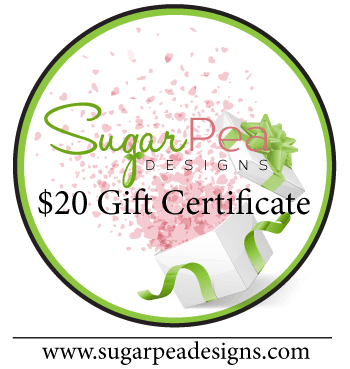 Now, how would you like to win a gift certificate to the store? 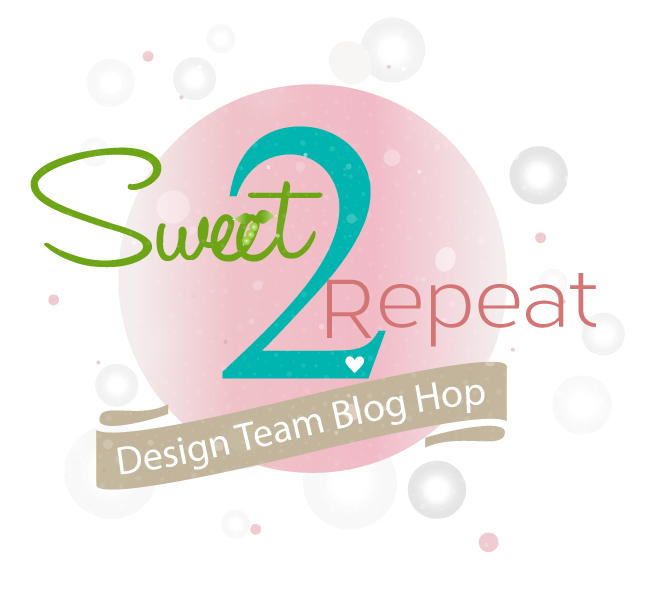 Simply leave a comment on all the DT blog and a random winner will be picked to win a $20 gc. Hi peeps. Just popping in for a super quick post to share this card. 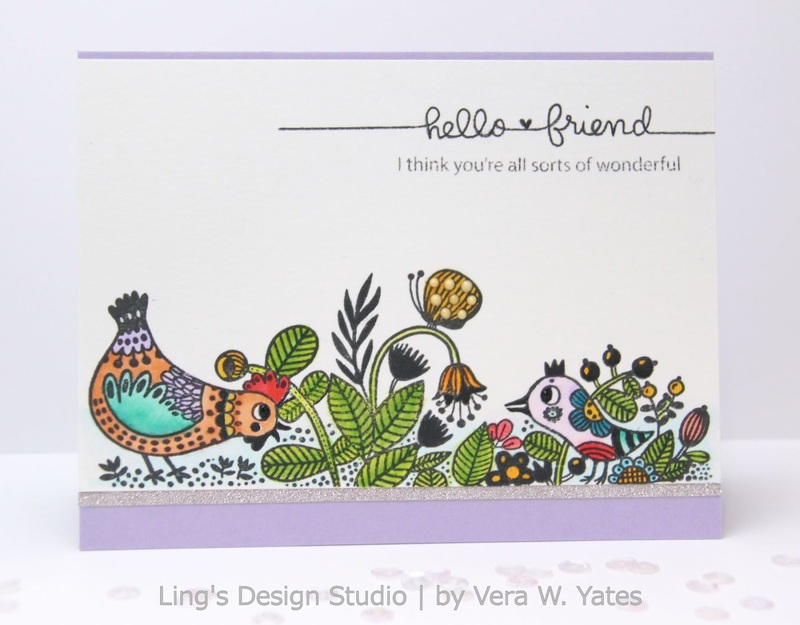 During our crafting together, Therese Schaefer, kindly letting me play with this awesome Enveloper Little Birdie Stamp set from Waffler Flowers. Come to think of it, I think this is my first time of playing with this brand. This design simply speaks to me & they're super fun to color. I finished the card with sentiment from Mama Elephant Sunday Sentiments set. And.... that's it from me. Told you it's super short. :) Hope you all have a fab day! Hi peeps. How's thing going? We are currently in the process of building our new place, so that means, we're also in the process of getting our current house ready for sale. Anddddd.... that means lots of sorting, cleaning & decluttering. Fun stuff! Pretty much, every weekend, I am slowly going room by room, cleaning & start packing what could be packed. Also lots of recycling and filling out donation bag. In between, I did manage to play with some crafty stuff. 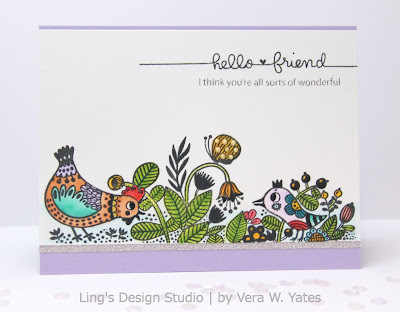 A couple weekends ago, I had a crafty get together with Therese Schaefer, Alba Sevadilla & Jacqueline Stephens (all I met through Caring Hearts Card Drive) and it's like having a stamping store to browse! 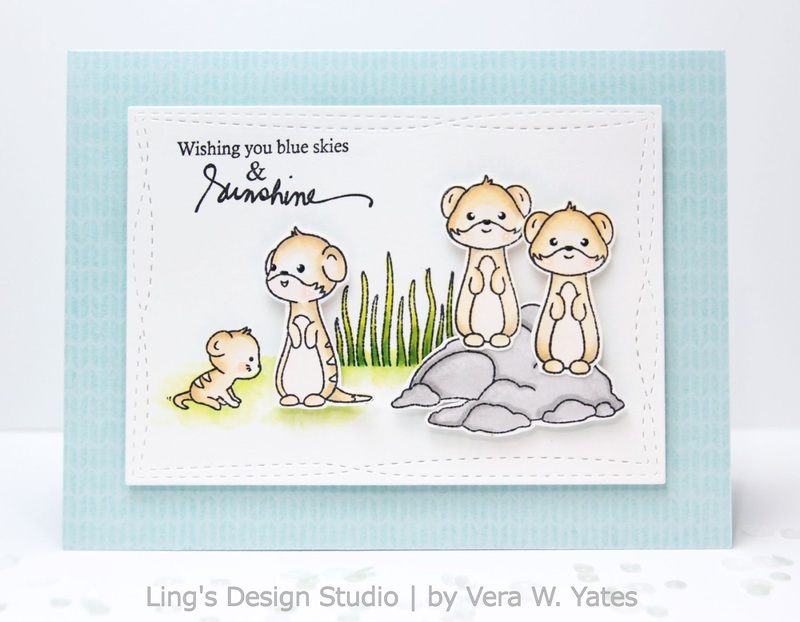 We each bring to the table our stamping stash to share. Jacqueline let me borrow this beautiful Hero Arts Peacock stencil & stamp set. Swoon... I love this stencil!! I use Clarity Brush to color the stencil area & love the soft result. That's all from me today. May your week starts off beautifully. Is my card screaming spring or what?? 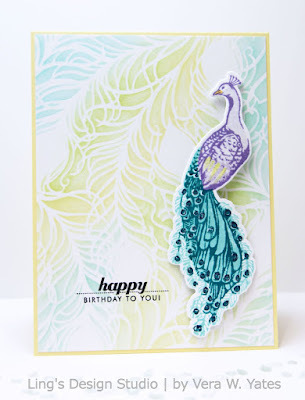 I just love this color combination and it inspire me to use the seed beads & sequins in the springy colors. 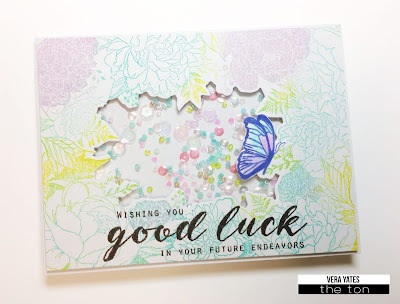 I made this good luck shaker card with a very specific friend in mind. I hope she'll love this card. So, what are you waiting for? Will you play along? Need more inspiration, we have that, too. 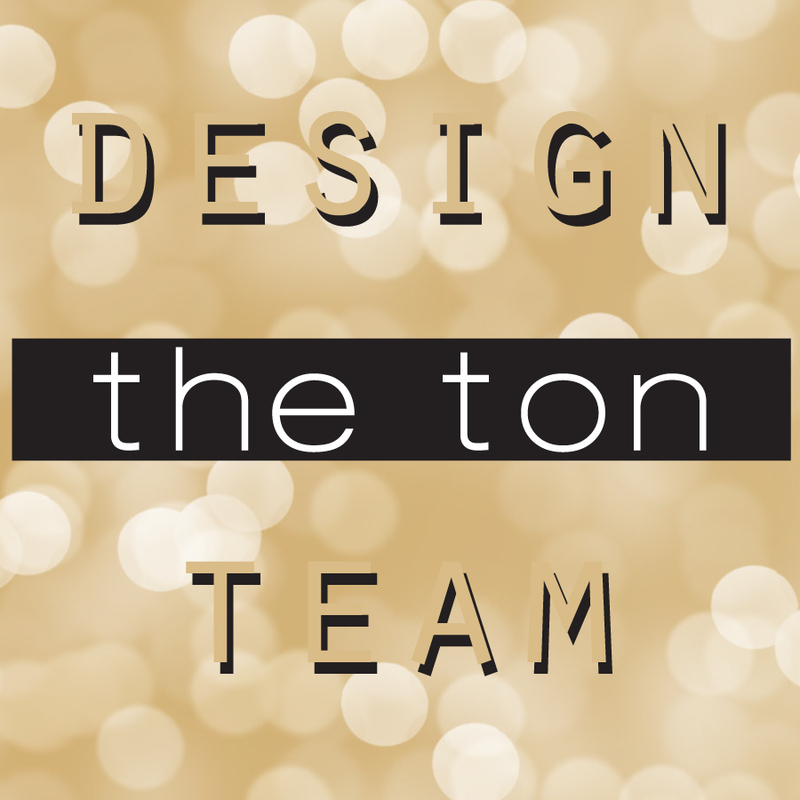 Simply go to The Ton Challenge Blog (this is also where you can enter your card). You'll have plenty of time to play along & you can enter more than just 1 card. Can't wait to see your creations!